Is the termination of a franchise thoroughly covered in your franchise agreement? The one part of the franchise contract which can be heavily weighted in favor of the franchisor, is the franchise termination clause! It is therefore imperative for the franchisee to have the contract reviewed by an experienced franchise lawyer, to ensure that the provisions contained therein also offers protection to the franchisee, in the event of the termination of a franchise. 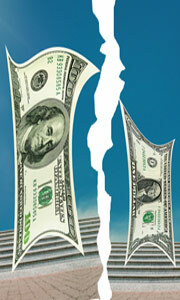 Once business commences it may be very difficult to terminate the agreement without being liable for ongoing royalties. Important Note: If your franchise agreement is terminated by mutual consent with your franchisor, the franchisee must further consider his obligations to his landlord arising from his lease agreement. Should the business not be on-sold, the franchisee should enlist the help of the franchisor in attemptingto recover as much of his capital investment (shop fitting, signage, stock etc.) as possible. You may enter into a franchise agreement before you find a suitable site from which to conduct the business. A franchisor can not force you to accept a site which he may have found. The franchisee may choose not to exercise his option to renew at the end of a fixed term, so the termination of a franchise will be automatic although the franchisee may be required to notify the franchisor of this fact in writing by the prescribed date in the agreement. However, if the franchisee has built up a successful business, he may wish to sell to a third party, who in turn will enter into a new agreement with the franchisor. The franchisee must ensure that his contract stipulates that the franchisor will not unreasonably withhold his consent for such a transfer of a franchise, and that the outgoing franchisee will not be liable for any further royalties or contributions once the territory has been sold to a third party. To ensure confidentiality when disclosing business information to a third party, take a look at our Free Financial Confidentiality Agreement. In the case of a force majeure such as earthquake, war etc., it may be impossible to continue with the business and the termination of a franchise must be mutually accepted in the termination clause of the franchise agreement. In the case of insanity, infirmity or death of a franchisee, the termination may be sought by a personal representative or family member. However, the contract must grant them the right to continue with the business whilst undergoing suitable training to qualify as a franchisee or until they find a suitable buyer for the business. Our Free Legal Forms site map has a complete list of additional franchise information available. The franchisor will have a restraint of trade clause in the agreement, which will come into effect upon the termination of a franchise. The franchisor will want to protect his trade secrets and business methods and to prevent the departing franchisee from becoming a competitor, whilst the franchisee will want to minimize any restrictions placed on future business endeavors. Although nobody can be restrained from earning a living in the field of his experience, you may be prohibited from conducting a similar business from the same premises, or within a certain radius from one of the other franchisees in the group. You will also be prohibited from conducting a similar business anywhere else, if it has the same look and feel and can be associated with the original franchise business. This is quite understandable, but your legal counsel must look out for anything unreasonable which may have a negative impact on your future should you wish to discontinue with the franchise and continue with a similar business. The nature of the business and the area in which it is being conducted (a densely populated city vs. a small town) will also determine to what extent restraint of trade can be enforced. A competent franchise lawyer or franchise consulting firm can assist both franchisor and franchisee in the orderly termination of a franchise. Provision for the termination of a franchise must be made in the franchise agreement and should be favorable and fair to both franchisor and franchisee.